Planche XXIII of Attitudes passionnelles, a series of ten photographs first published in the book Iconographie photographique de la Salpêtrière (1875 - 1879). The photo depicts Salpêtrière star patient Louise Augustine. Psychiatry is a medical specialty dealing with the prevention, assessment, diagnosis, treatment, and rehabilitation of the mind and mental illness. Its primary goal is the relief of mental suffering associated with symptoms of disorder and improvement of mental well-being. This may be based in hospitals or in the community and patients may be voluntary or involuntary. Psychiatry adopts a medical approach but may take into account biological, psychological, and social/cultural perspectives. Treatment by medication in conjunction with various forms of psychotherapy may be undertaken and has proved most effective in successful treatment. The word 'psychiatry' derives from the Greek for "healer of the spirit" (ψυχ- (spirit) + ιατρος (physician)). Most psychiatric illnesses cannot currently be cured, although recovery may occur. While some have short time courses and only minor symptoms, many are chronic conditions which can have a significant impact on a patients' quality of life and even life expectancy, and as such may be thought to require long-term or life-long treatment. Effectiveness of treatment for any given condition is also variable from individual to individual. Starting in the 5th century BC, mental disorders, especially those with psychotic traits, were considered supernatural in origin. This view existed throughout ancient Greece and Rome. Early manuals written about mental disorders were created by the Greeks. In the 4th century BC, Hippocrates theorized that physiological abnormalities may be the root of mental disorders. Religious leaders and others returned to using early versions of exorcisms to treat mental disorders which often utilized cruel, harsh, and barbarous methods. The first psychiatric hospitals were built in the medieval Islamic world from the 8th century. The first was built in Baghdad in 705 AD, followed by Fes in the early 8th century, and Cairo in 800 AD. Unlike medieval Christian physicians who relied on demonological explanations for mental illness, medieval Muslim physicians relied mostly on clinical observations. They made significant advances to psychiatry and were the first to provide psychotherapy and moral treatment for mentally ill patients, in addition to other forms of treatment such as baths, drug medication, music therapy and occupational therapy. In the 10th century, the Persian physician Muhammad ibn Zakarīya Rāzi (Rhazes) combined psychological methods and physiological explanations to provide treatment to mentally ill patients. 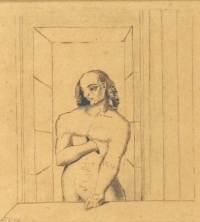 His contemporary, the Arab physician Najab ud-din Muhammad, described a number of mental illnesses such as agitated depression, neurosis, priapism and sexual impotence (Nafkhae Malikholia), psychosis (Kutrib), and mania (Dual-Kulb). In the 11th century, another Persian physician, Avicenna, recognized "physiological psychology" in the treatment of illnesses involving emotions, and developed a system for associating changes in the pulse rate with inner feelings, which is seen as a precursor to the word association test developed by Carl Jung in the 19th century. Avicenna was also an early pioneer of neuropsychiatry, and first described a number of neuropsychiatric conditions such as hallucination, insomnia, mania, nightmare, melancholia, dementia, epilepsy, paralysis, stroke, vertigo and tremor. Psychiatric hospitals were built in medieval Europe from the 13th century to treat mental disorders but were utilized only as custodial institutions and did not provide any type of treatment. Founded in the 13th century, Bethlem Royal Hospital in London is one of the oldest psychiatric hospitals. By 1547 the City of London acquired the hospital and continued its function until 1948. It is now part of the National Health Service and is an NHS Foundation Trust. In 1656, Louis XIV of France created a public system of hospitals for those suffering from mental disorders, but as in England, no real treatment was being applied. In 1758 English physician William Battie wrote the Treatise on Madness which called for treatments to be utilized in asylums. Thirty years later the new ruling monarch in England, George III, was known to be suffering from a mental disorder. Following the King's remission in 1789, mental illness was seen as something which could be treated and cured. By 1792 French physician Philippe Pinel introduced humane treatment approaches to those suffering from mental disorders. William Tuke adopted the methods outlined by Pinel and that same year Tuke opened the York Retreat in England. That institution became known as a model throughout the world for humane and moral treatment of patients suffering from mental disorders. It inspired similar institutions in the United States, most notably the Brattleboro Retreat and the Hartford Retreat (now the Institute of Living). At the turn of the century, England and France combined only had a few hundred individuals in asylums. By the late 1890s and early 1900s, this number skyrocketed to the hundreds of thousands. The United States housed 150,000 patients in mental hospitals by 1904. German speaking countries housed more than 400 public and private sector asylums. These asylums were critical to the evolution of psychiatry as they provided a universal platform of practice throughout the world. Universities often played a part in the administration of the asylums. Due to the relationship between the universities and asylums, scores of competitive psychiatrists were being molded in Germany. Germany became known as the world leader in psychiatry during the nineteenth century. The country possessed more than 20 separate universities all competing with each other for scientific advancement. However, because of Germany's individual states and the lack of national regulation of asylums, the country had no organized centralization of asylums or psychiatry. Britain, like Germany, also lacked a centralized organization for the administration of asylums. This deficit hindered the diffusion of new ideas in medicine and psychiatry. In the United States in 1834 Anna Marsh, a physician's widow, deeded the funds to build her country's first financially-stable private asylum. The Brattleboro Retreat marked the beginning of America's private psychiatric hospitals challenging state institutions for patients, funding, and influence. Although based on England's York Retreat, it would be followed by specialty institutions of every treatment philosophy. In 1838, France enacted a law to regulate both the admissions into asylums and asylum services across the country. By 1840, asylums as therapeutic institutions existed throughout Europe and the United States. However, the new and dominating ideas that mental illness could be "conquered" during the mid-nineteenth century all came crashing down. Psychiatrists and asylums were being pressured by an ever increasing patient population. The average number of patients in asylums in the United States jumped 927%. Numbers were similar in England and Germany. Overcrowding was rampant in France where asylums would commonly take in double their maximum capacity. Increases in asylum populations may have been a result of the transfer of care from families and poorhouses, but the specific reasons as to why the increase occurred is still debated today. No matter the cause, the pressure on asylums from the increase was taking its toll on the asylums and psychiatry as a specialty. Asylums were once again turning into custodial institutions and the reputation of psychiatry in the medical world had hit an extreme low. The 20th century introduced a new psychiatry into the world. Different perspectives of looking at mental disorders began to be introduced. The career of Emil Kraepelin reflects the convergence of different disciplines in psychiatry. 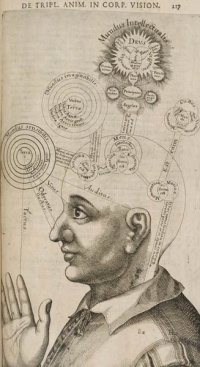 Kraepelin initially was very attracted to psychology and ignored the ideas of anatomical psychiatry. Following his appointment to a professorship of psychiatry and his work in a university psychiatric clinic, Kraepelin's interest in pure psychology began to fade and he introduced a plan for a more comprehensive psychiatry. Kraepelin began to study and promote the ideas of disease classification for mental disorders, an idea introduced by Karl Ludwig Kahlbaum. The initial ideas behind biological psychiatry, stating that the different mental disorders were all biological in nature, evolved into a new concept of "nerves" and psychiatry became a rough approximation of neurology and neuropsychiatry. Following Sigmund Freud's death, ideas stemming from psychoanalytic theory also began to take root. The psychoanalytic theory became popular among psychiatrists because it allowed the patients to be treated in private practices instead of warehoused in asylums. By the 1970s the psychoanalytic school of thought had become marginalized within the field. Biological psychiatry reemerged during this time. Psychopharmacology became an integral part of psychiatry starting with Otto Loewi's discovery of the first neurotransmitter, acetylcholine. Neuroimaging was first utilized as a tool for psychiatry in the 1980s. The discovery of chlorpromazine's effectiveness in treating schizophrenia in 1952 revolutionized treatment of the disease, as did lithium carbonate's ability to stabilize mood highs and lows in bipolar disorder in 1948. Psychotherapy was still utilized, but as a treatment for psychosocial issues. Genetics were once again thought to play a role in mental illness. Molecular biology opened the door for specific genes contributing to mental disorders to be identified. The introduction of psychiatric medications and the use of laboratory tests altered the doctor-patient relationship between psychiatrists and their patients. Psychiatry's shift to the hard sciences had been interpreted as a lack of concern for patients. 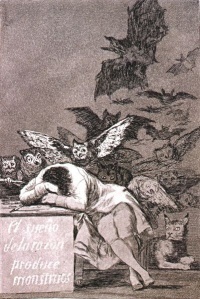 Anti-psychiatry had become more prevalent in the late twentieth century due to this and publications in the media which conceptualized mental disorders as myths. Others in the movement argued that psychiatry was a form of social control and demanded that institutionalized psychiatric care, stemming from Pinel's thereapeutic asylum, be abolished. Incidents of physical abuse by psychiatrists took place during the reign of some totalitarian regimes as part of a system to enforce political control. Some of the abuse even continued to the present day. Historical examples of the abuse of psychiatry took place in Nazi Germany, in the Soviet Union under Psikhushka, and in the apartheid system in South Africa. Electroconvulsive therapy (ECT) was one treatment that the anti-psychiatry movement wanted eliminated. They alleged that ECT damaged the brain and was used as a tool for discipline. While some believe there is no evidence that ECT damages the brain, there are some citations that ECT does cause damage. Sometimes ECT is used as punishment or as a threat and there have been isolated incidents where the use of ECT was threatened to keep the patients "in line". The prevalence of psychiatric medication helped initiate deinstitutionalization, the process of discharging patients from psychiatric hospitals to the community. The pressure from the anti-psychiatry movements and the ideology of community treatment from the medical arena helped sustain deinstitutionalization. Thirty-three years after deinstitutionalization started in the United States, only 19% of the patients in state hospitals remained. Mental health professionals envisioned a process wherein patients would be discharged into communities where they could participate in a normal life while living in a therapeutic atmosphere. Psychiatrists were criticized, however, for failing to develop community-based support and treatment. Community-based facilities were not available because of the political infighting between in-patient and community-based social services, and an unwillingness by social services to dispense funding to provide adequately for patients to be discharged into community-based facilities. Unless indicated otherwise, the text in this article is either based on Wikipedia article "Psychiatry" or another language Wikipedia page thereof used under the terms of the GNU Free Documentation License; or on original research by Jahsonic and friends. See Art and Popular Culture's copyright notice. This page was last modified 13:34, 4 December 2014.